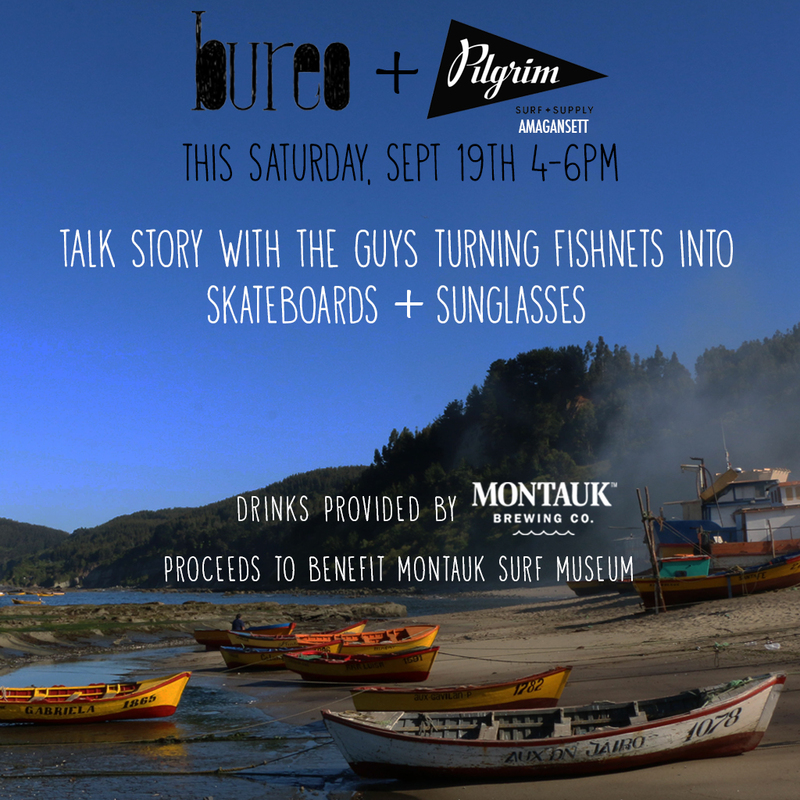 Folks, a just for fun event from the people at Bureo Skateboards. Come find out how they are making skateboard decks from old fishing nets? Rise Above Plastic means finding new ways to use old plastics. Pilgrim Surf in Amagansett tomorrow!